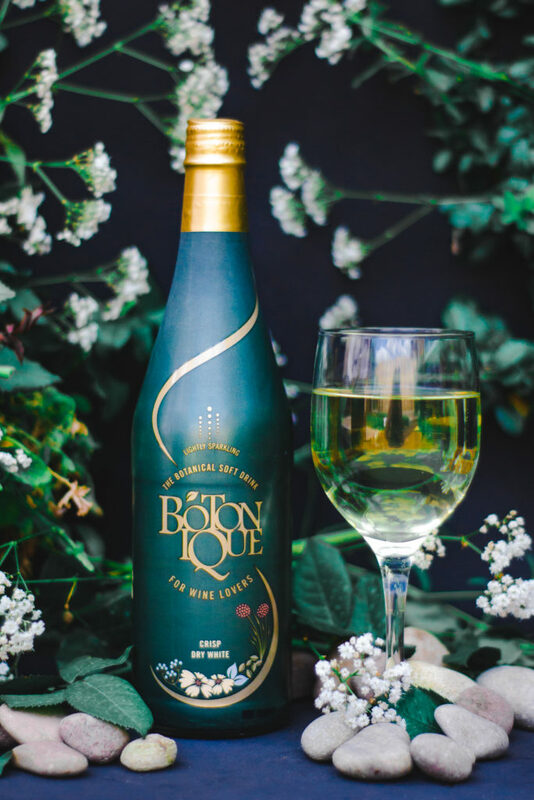 Botonique, a unique British-made natural, dry, sparkling non-alcoholic drink alternative for lovers of wine and other sophisticated forms of alcohol. In addition, it contains the beneficial elements of Prelixir®, a unique blend of vitamins, minerals and amino acids which alcohol is known to deplete. This unique element means that Botonique is able to provide anti-oxidant, anti-inflammatory, alkalising, detoxifying and hydrating benefits. The drink is available in both original and blush. 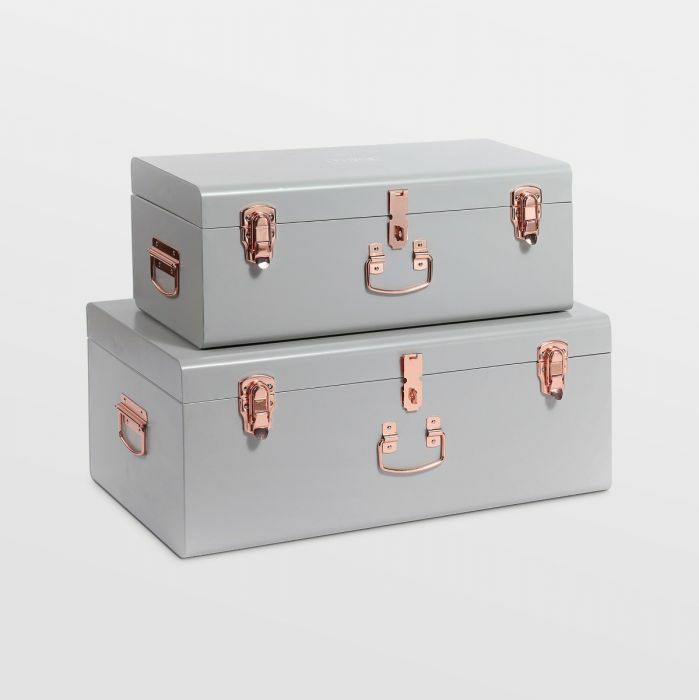 I love these storage trunks from Beautify! A versatile way to declutter and perfect for storing a huge variety of items. Bedding, towels, clothes, shoes, toys, magazines, paper documents, general bits and bobs – whatever you need to store, these trunks are guaranteed to come in handy. Beautiful pale grey design made from robust steel with on-trend rose gold clasps and handle. Vintage style will never go out of fashion and will add a touch of glamour and character. The trunks are stackable, allowing you to make the most of existing space. Whether you’re dipping strawberries into chocolate or sourdough into gruyere, this fondue set from VonShef offers you everything you need to recreate an authentic après-ski fondue experience from the comfort of your home. 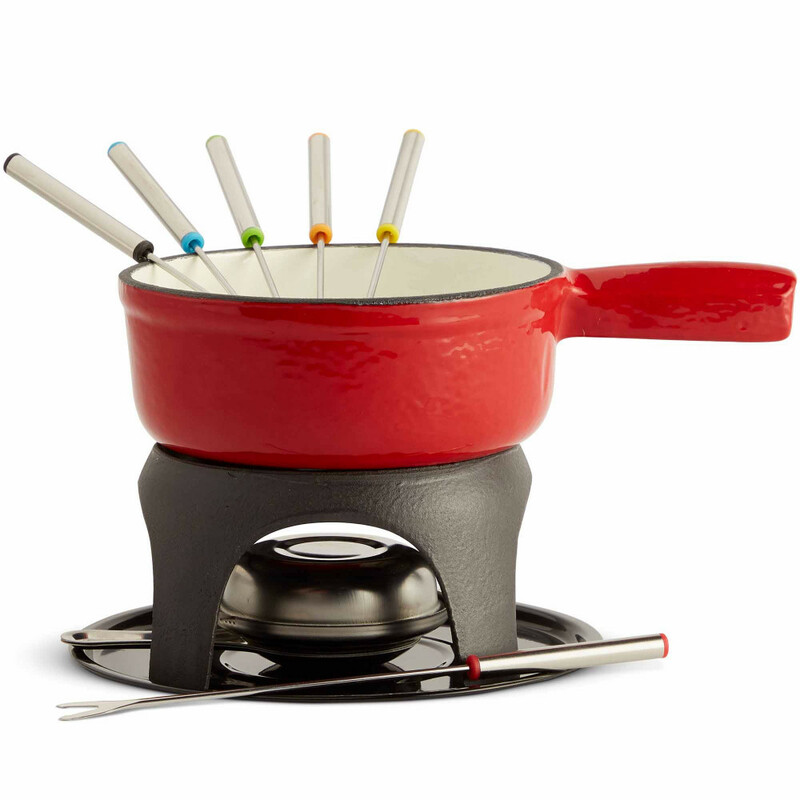 With a pot and stand constructed from cast iron steel, this fondue set is durable, long lasting, and heats evenly for a consistently smooth fondue. For added authenticity, the graduated red exterior and large side handle for pouring are inspired by traditional Swiss fondue cookware. With six long-stemmed forks with colour coded tips for easy sharing, this set makes it easy to partake in the timeless joy of dining communally with friends and family. 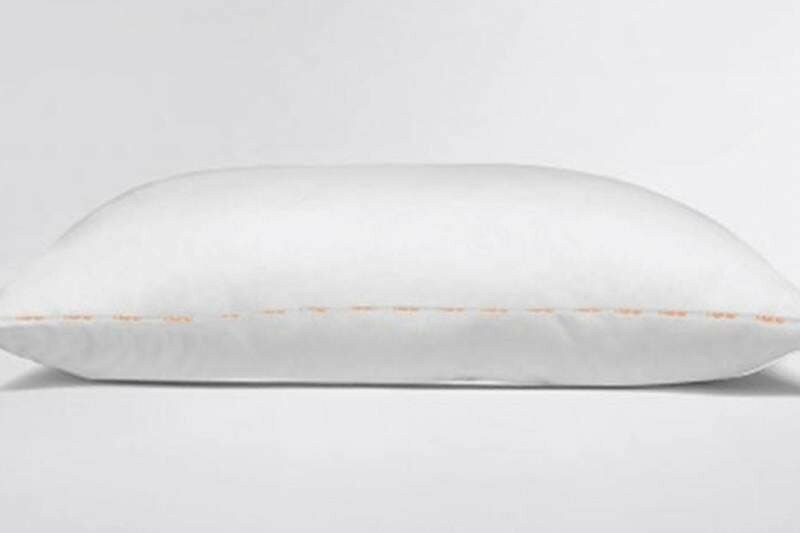 Give the gift of sleep with a bit of help from a Nanu pillow. With over 40 years experience and 10 million pillows made each year, they know the best person to understand your sleeping preferences is you. the pillow is personalised to the recipient, tailored for their sleep position, weight, height and how much support they like. it is filled with super soft and allergen free recycled filling and their packaging uses recycled materials too. If you aren’t too sure about it, there is even a 30 night free trial and a 2 year guarantee. I absolutely love it and have gone from two pillows to just this one and it’s perfect. I sleep so well with it. The Draughtsman Damsel. 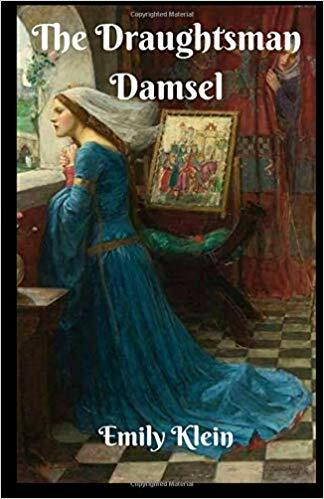 When Annabelle’s father, the closest counsellor and architect to the Duke at Calais, is called back to the English court, his ten-year-old daughter Annabelle is torn from her home and from her best friend, the Duke’s youngest son, Thomas, whom she swears she will one day wed.
​When her family’s connection to the Duke diminishes, and the Duke’s mental health falters, her parents are at their wits end about procuring a love match for her. Especially as all their efforts amount to naught, because of Annabelle’s anxiety. Lemongrass and Coffee Exfoliating Body Scrub with sea salt, lime and coconut oil. Buff away dry, dead cells to leave you feeling soft, smooth and refreshed. Blended with shea butter to moisturise the skin post-scrub. This scrub is made with top-quality Arabica coffee grounds sourced from artisan coffee shops in London, leaving it completely free of toxic plastic microbeads. 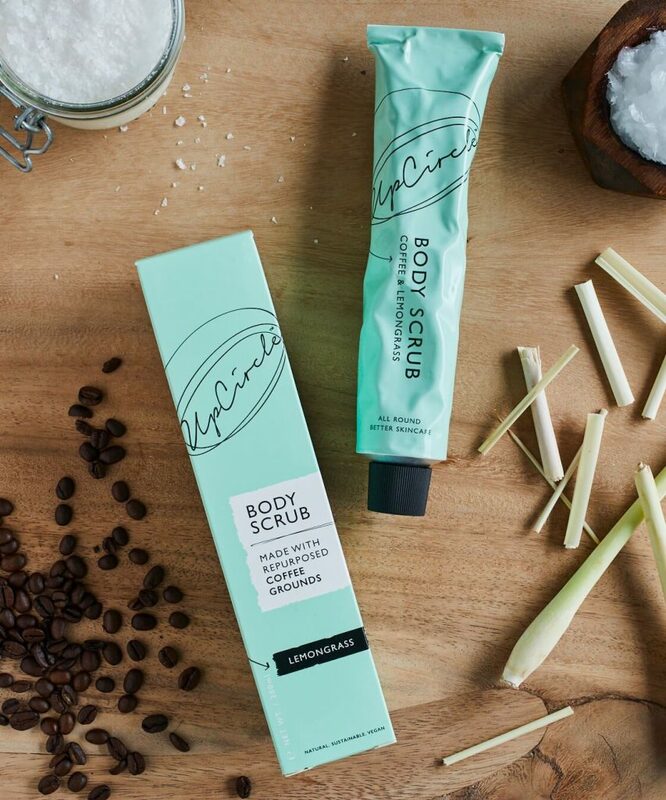 A gentle exfoliator, the caffeine stimulates blood flow and minimises the appearance of cellulite. The high level of antioxidants helps minimise the appearance of the signs of ageing, including fine lines and wrinkles. Infused with lemongrass and lime essential oils, your skin will feel uplifted and energised. The packaging is 100% recyclable being housed in a 100% aluminium tube with PP cap and cardboard outer. HARIBO Heart Throbs Gift Box (Available in 140g and 380g gift boxes). 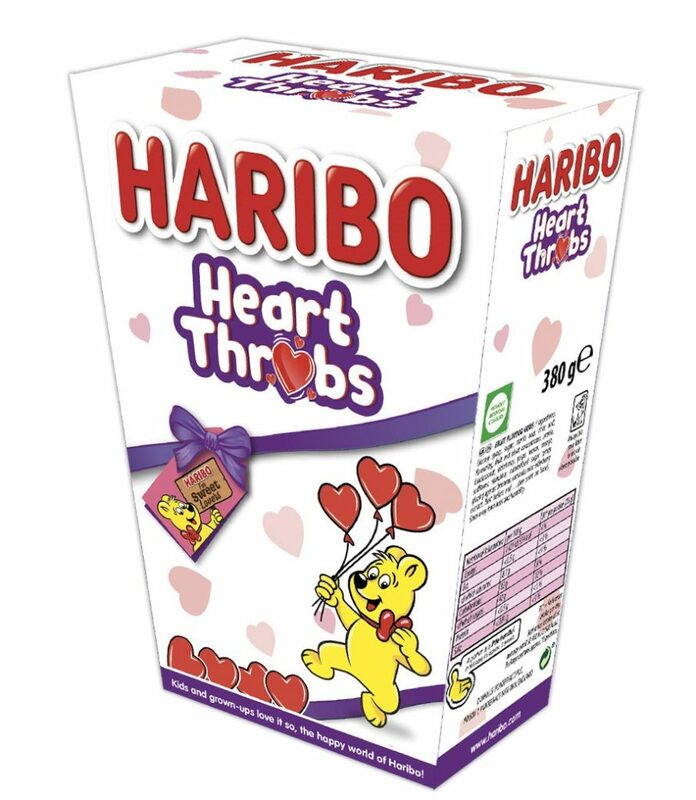 Treat your loved one to a tasty gesture this Valentine’s Day with a Heart Throbs Gift Box from HARIBO. Filled with pretty jelly and foam hearts, this cute gift box is the perfect present for the sweet lover in your life. Available in Sainsbury’s and Asda. 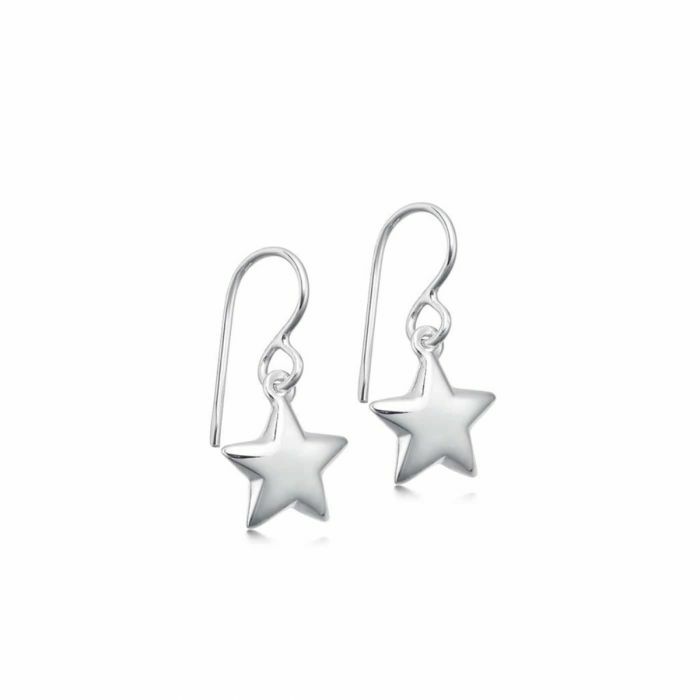 I absolutely adore these beautiful sterling silver star drop earrings, the star measure 13mm across, while the measurement from the top of the wire to the bottom of the star is 30mm. These star earrings are sent to you in a black presentation box with a care card, tissue paper and polishing cloth. Hersey & Son Silversmiths have an array of sterling silver tableware as well as jewellery and silver gifts. They are passionate about keeping the crafts of Silversmithing alive and the team use many time tested techniques which date back centuries alongside the latest cutting edge technology to create high quality and well designed pieces that will be enjoyed for generations to come. D’s favourite wine is Chateauneuf du Pape so I was delighted when I came across this from Farrar and Tanner! Farrar & Tanner design and source bespoke, enduring quality gifts. A beautifully deep ruby red Chateauneuf du Pape sits alongside Cartwright and Butler chocolates presented in traditional kilner-style jars. Enjoy a glass of this well-balanced rich wine accompanied by this decadent confectionary. 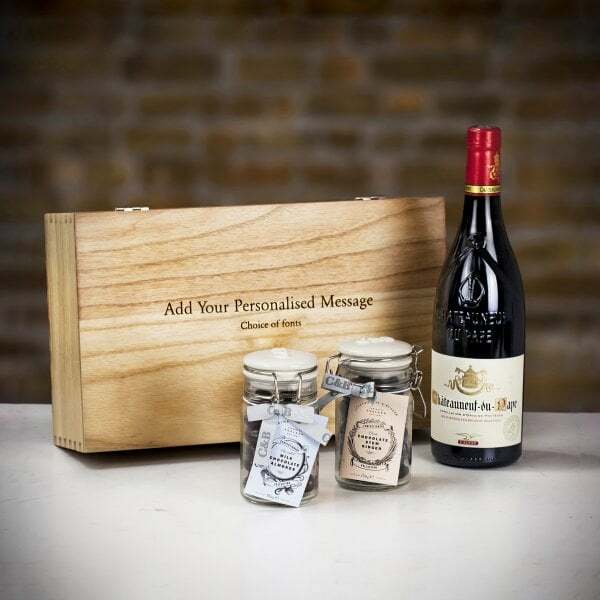 A personalised message can be added to the wooden gift box for a memorable gift. An essential multi-purpose leather tablet and travel pouch for your small tech device, small work documents, travel itineraries, boarding passes and booklets. There are two handy pockets for your passports, a smartphone and tavel cards and much more. The single main compartment big enough for most 10 tablets and A5 documents. 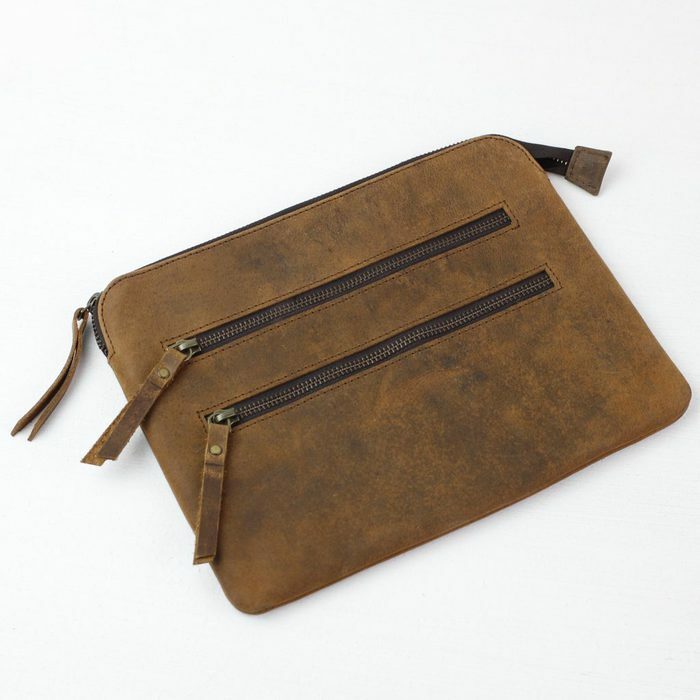 Scaramanga handcrafts each leather bag and uses semi-vegetable tanned leather. Very have some gorgeous lingerie. I love this V by Very slip that sculpts and smooths your figure, creating a svelte silhouette, and sits discreetly under even the most body-hugging of frocks. Lace cups and peek-a-boo panels are ready for the reveal at the end of the night. The multiway design means you can wear with straps for an enhanced lift, or as a bustier beneath strapless dresses. Some lovely ideas – it will soon come round! Some lovely gift ideas and I absolutely love the designs on the towels. Great designs. I like that they fold small for packing or just carrying to the beach. Some great ideas in the post. Loving the towel too! This is a superb towel. Love the towel. Bringing the sand home with you is so annoying! Super gift ideas, won’t be long til Valentines Day so thanks for the reviews. I would love one of these, they’d be so useful! ive been looking at these for a while too, perfect for holidays! I’d love to win and try out this towel. We don’t give each other valentines gifts but I would love to read The draughtmans daughter. My type of read. SO pretty, perfect for holidays! Some fab ideas for valentines, I always struggle buying things! The colour of those towels are lovely. Would be great for holidays. There are some lovely ideas especially for Valentines day. Also gives me plenty of time to get sorted. Some lovely ideas for valentines. Thanks. Love this towel! It would be a perfect gift for my other half and his birthday is also Valentine’s Day! WOW, the towels look fantastic! I love the prints and designs. Will I look like the model in the photo as my towel billows behind me? Haha I know I definitely won’t! Great gift ideas. Fingers crossed. The towel sounds like it really is offering something different and I love the colours! I love that, Ride The Rainbow towel, so bright and colourful. I love the towel! I can’t believe it’s nearly valentines day already! I LOVE these towels and all the designs! My favourite is ‘Ride The Rainbow’. I would love a set of these to take on my next beach holiday! Great ideas for Valentine’s Day. Love the towel, we love rainbows in our household. Some lovely ideas in your article and the Tesalate towel really is lovely. Love the colours, to let everyone know that is my sunbed!! Lovely towel and some great ideas. These towels look so nice! I love the colorful one in the post. The towels are very cute, nice and colourful for the beach. Some beautiful gifts and a truly amazing towel! Some nice ideas here and great review of some inspirational products ! I’m all for rainbows, I am! Gorgeous! Won’;t be long, then spring! Huzah! These look like great towels. Some great ideas. Thank you for the giveaway. Love this towel it is awesome! Gorgeous towels, perfect for all the beach picnics I’m hoping for this year! I hadn’t heard of Tesalate towels before but am now loving the Rainbow towel!!! Great ideas and a lovel5 design on the towel too! I love the design of the towel in the photo, funky and bright. My favourite holiday destination is Florida, I love visiting the theme parks and water parks – I haven’t tried these towels, but they would be really useful on holiday. Love these ideas. I love this beach towel, reminds me of sun and happiness. Bring on the summer! These towels are lovely so unusual. i love them! 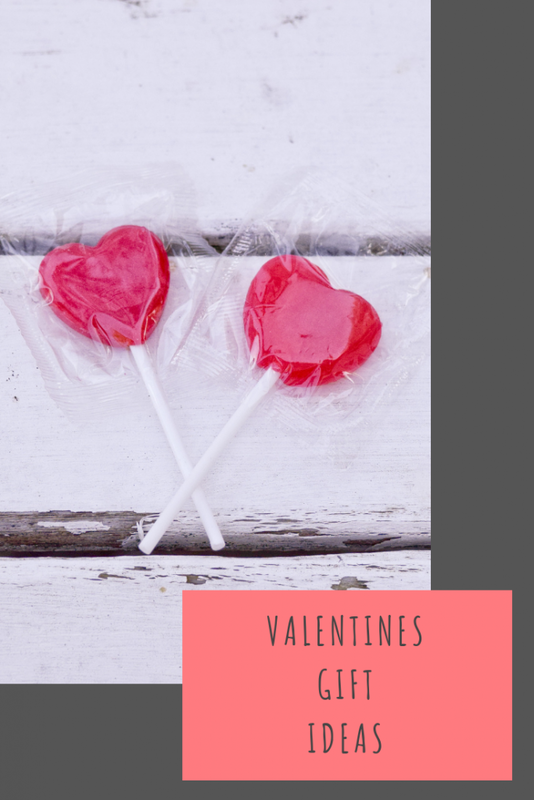 Thank you for these fabulous gift ideas for Valentine’s Day! What a beautiful towel and what super items in your blog. Thank you. I absolutely love that Ride The Rainbow towel. It’s so gorgeous. Great competition – love it all! Omg! My towels at home are so boring I need this! I love some of these ideas, thank you! Such a vibrant and colourful design. I would love to use this towel for both yoga and sunbathing in my garden. Just loving the colours on the towel! I would love to win one of these fab towels, thank you for the giveaway. It would be a fabulous treat to win, thanks for the chance. I have heard of this brand but never tried their products. This towel looks fab. I would love to win this towel for the beach and swimming. Love the colours. East to spot on the beach!! I love bright towels & this looks amazing! There are some great ideas here. What a lovely looking towel – so beautifully bright! Some fantastic ideas and prices.